This case arose out of a medical malpractice suit filed by the plaintiff /appellant against the defendant/appellee neurosurgeon. The defendant doctor performed spinal fusion surgery on the plaintiff to treat his chronic neck and shoulder pain. Unfortunately, the surgical incision became infected resulting in large abscess so plaintiff sued for medical malpractice. Plaintiff argued that the surgeon’s decision to perform unindicated surgery coupled with the failure to timely identify and treat a surgical site infection has left the plaintiff with permanent pain and limited motion in his neck. The case eventually went to trial during which several jurors expressed concerns about the length of the trial and scheduling matters. The jury went into deliberations and after 3 days they notified that the trial court that they might be deadlocked. The trial court responded with a “modified Allen charge” and also informed the jury that they would only be required to deliberate for another hour and would not be required to return for a 4th day. Later that afternoon, the jury returned a verdict in favor of the plaintiff $329,000. This is not a big amount in a medical malpractice case but it was likely a compromise verdict given the jurors’ inability to reach agreed upon decision. The defendant doctor raised 2 issues on appeal both of which involved the appropriateness of the trial court’s instructions to the jury. First, the doctor attacked the trial court’s instruction on negligence. Second, the doctor claimed that the trial court abused its discretion by telling the jury how much longer they would be required to deliberate. The defendant doctor’s primary argument on appeal took issue with the trial court’s jury instruction on the law of negligence. The doctor argued that the trial court should not have prefaced its instruction on the applicable standard of care in medical malpractice with the general pattern instructions on negligence. According to the defendant doctor, giving the general negligence instructions first confused the jury about the correct standard of care that should have been applied to his actions as a physician. The doctor suggested that instead of applying the heightened standard of care applicable to surgeons, the jury became confused by the instructions and applied the lower standard of care for ordinary negligence. In evaluating this argument, the COA began by noting that although no Maryland appellate cases are directly on point. However, very similar jury instructions in another medical malpractice were reviewed and approved in Kennelly v. Burgess, 337 Md. 562 (1995). Next, the COA reviewed applicable case law from other jurisdictions regarding the inclusion of general negligence instructions in a medical malpractice case. Only one of out-of-state cases, Southeastern Pain Specialists, P.C. v. Brown, 811 S.E.2d 360 (Ga. 2018), potentially supported Dr. Davis’s argument. The court basically dismissed the controversial decision in Brown as “bad law” and declined to follow it. Not only was Brown distinguishable on its facts, but the court also explained that adopting the ruling in Brown would impose a higher burden of proof on medical malpractice plaintiffs. The defendant doctor also claimed that the trial court abused its discretion when it told the potentially deadlocked jury how much longer they would be required to deliberate. After 3 days the jury notified the trial court that they may be deadlocked. In response, the court gave them a modified Allen charge and also told jurors that they would only be required to deliberate beyond the rest of that day. Soon after receiving this the jury returned its verdict for the plaintiff. In the defendant’s view, this modified Allen charge combined with the court’s notice that they would not be back for another day improperly coerced the jury to reach a last-minute verdict. In its discussion of this 2nd argument, the COA initially acknowledged that giving jurors a time deadline coupled with a modified Allen charge can amount to reversible error in certain circumstances. In the circumstances of the case at bar, however, the COA determined that the trial court’s decision to keep the jurors informed about the timetable did not make the Allen charge coercive. The length of the trial had been an issue since the outset. One juror had already been dismissed and several others had expressed concerns over the length of the trial. Moreover, the judge had previously assured jurors that the proceedings would not last longer than 7 days. Under these circumstances, the COA held that the instructions to the jury were not coercive. In cases where the length of the trial has been an issue for the jury, it is not an abuse of discretion to advise them on how much longer they might be required to deliberate. I think the court’s decision on both arguments makes a lot of practical sense and not just because the plaintiff won. Medical malpractice is still negligence. Explaining the law of general negligence before explaining the standard of care applicable to doctors in medical malpractice cases makes some sense. The argument that this somehow confused the jurors doesn’t make much sense. The trial court’s notice to the jurors that they would not be required to come back for another day seems equally fair and practical. Jurors are people with children, jobs, etc. 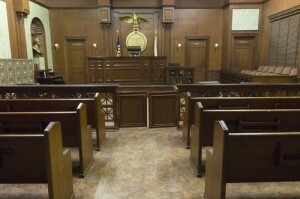 Courts need to be respectful of juror’s personal responsibilities. It seems entirely reasonable for a judge to tell jurors after a week of service exactly how much longer they would be on the hook. Honestly, I’m not sure why this appeal got filed. The possibility of a defendant prevailing on these issues given the abuse of discretion standard seems unbelievably remote.